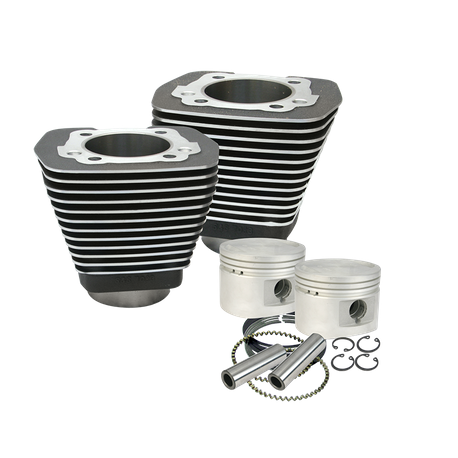 This replacement cylinder and piston kit contains S&S 3-1/2" bore cylinders and forged pistons, rings, wrist pins, and head and base gaskets. The pistons included in this kit are flat topped forged pistons designed to be used with either stock cylinder heads or with S&S Performance Replacement heads. Cylinders have a tough wrinkle black powdercoat finish.